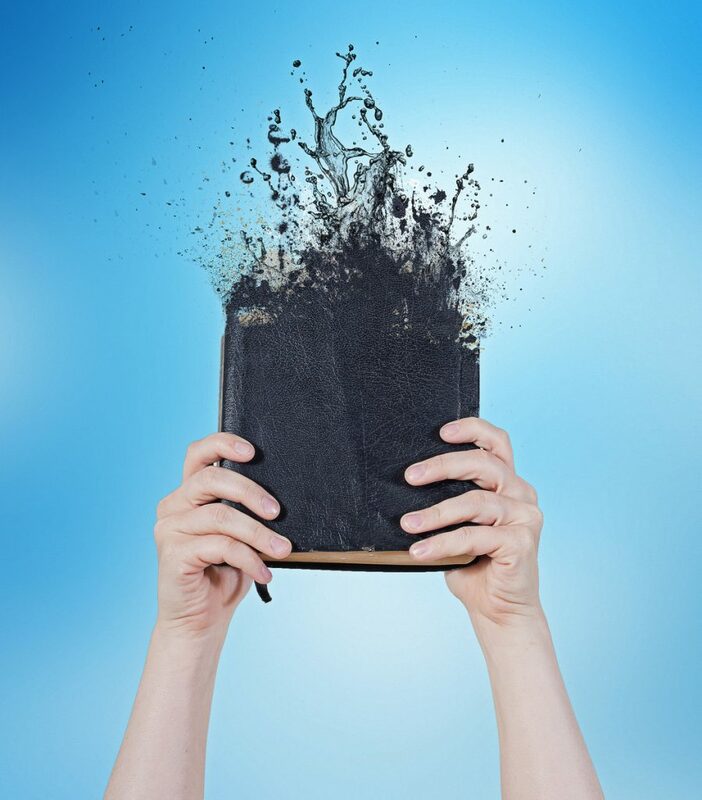 The very word, “sin” was once a a strong word, an ominous and serious word. . . . But the word went away. The notion of sin has almost disappeared. Why? Doesn’t anyone sin anymore? Doesn’t anyone believe in sin? The last time the word sin was mentioned in the presidential proclamation for the annual National Day of Prayer was in President Eisenhower’s proclamation in 1953—and those words were borrowed from a call to national prayer by Abraham Lincoln in 1863! We see that the concept of sin has virtually disappeared from our American culture at large and has been softened, even within many of our churches, to accommodate modern sensibilities. 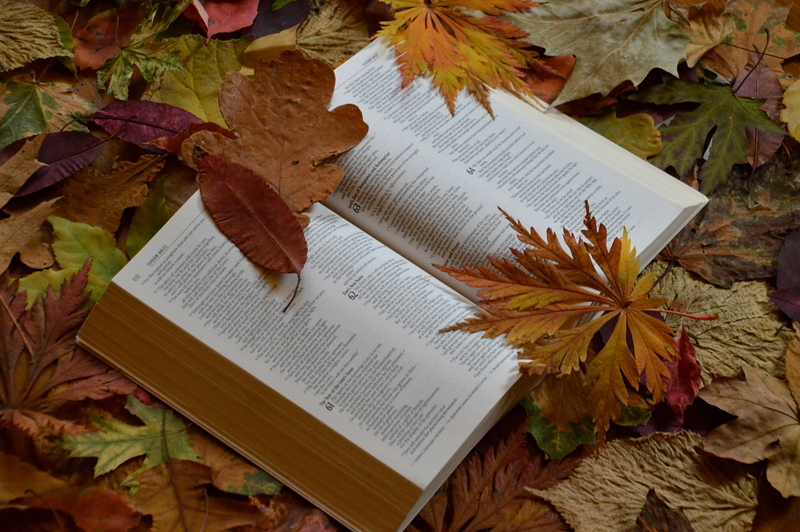 Indeed, strong biblical words for sin have been excised from our vocabulary. People no longer commit adultery; instead they have an affair. Corporate executives do not steal; they commit fraud. But what about our conservative, evangelical churches? Has the idea of sin all but disappeared from us also? No, it has not disappeared, but it has, in many instances, been deflected to those outside our circles who commit flagrant sins such as abortion and murder, or the notorious white-collar crimes of high-level corporate executives. It’s easy for us to condemn those obvious sins while virtually ignoring our own sins of gossip, pride, envy, bitterness, and lust, or even our lack of those gracious qualities that Paul calls the fruit of the Spirit (see Galatians 5:22-23). The attitude toward sin reflected in the prayers of those men seems all too prevalent within our conservative, evangelical circles. Of course, this is a broad-brush observation, and there are many happy exceptions. But on the whole, we appear to be more concerned about the sins of society than we are the sins of the saints. In fact, we often indulge in what I call the “respectable” or even “acceptable” sins without any sense of sin. Our gossip or unkind words about a brother or sister in Christ roll easily off our tongues without any awareness of wrongdoing. We harbor hurts over wrongs long past without any effort to forgive as God has forgiven us. We look down our religious noses at “sinners” in society without any sense of a humble “there but for the grace of God go I” spirit. The apostle John wrote, “Sin is lawlessness” (1 John 3:4). All sin, even sin that seems so minor in our eyes, is lawlessness. It is not just the breaking of a single command; it is a complete disregard for the law of God, a deliberate rejection of His moral will in favor of fulfilling one’s own desires. In our human values of civil laws, we draw a huge distinction between an otherwise “law-abiding citizen” who gets an occasional traffic ticket and a person who lives a “lawless” life in contempt and utter disregard for all laws. But the Bible does not seem to make that distinction. Rather, it simply says sin—that is, all sin without distinction—is lawlessness. In Greek culture, sin originally meant to “miss the mark,” that is, to miss the center of the target. Therefore sin was considered a miscalculation or failure to achieve. There is some truth in that idea even today as, for example, when a person is genuinely repentant over some sinful behavior and is earnestly seeking to overcome it but still fails frequently. He wants to hit the bull’s-eye every time, but he can’t seem to pull it off. Usually, however, our sinful actions stem not from a failure to achieve but from an inner urge to fulfill our own desires. As James wrote, “Each person is tempted when he is lured and enticed by his own desire” (1:14). We gossip or lust because of the sinful pleasure we get out of it. At that time, the lure of that momentary pleasure is stronger than our desire to please God. God has not given us the authority to establish values for different sins. Sin is sin. Even those sins that I call “the acceptable sins of the saints”—those sins that we tolerate in our lives—are serious in God’s eyes. Our religious pride, our critical attitudes, our unkind speech about others, our impatience and anger, even our anxiety (see Philippians 4:6); all of these are serious in the sight of God. The apostle Paul, in stressing the need to seek justification by faith in Christ alone, quoted from the Old Testament, “Cursed be everyone who does not abide by all things written in the Book of the Law, and do them” (Galatians 3:10). That is a perfectly exacting standard of obedience. In academic terms, that means a 99 on a final exam is a failing grade. It means that a misplaced comma in an otherwise fine term paper would garner an F. Now, happily, Paul goes on to assure us that Christ has “redeemed us [that is, all who trust in Him as their redeemer] from the curse of the law by becoming a curse for us” (Galatians 3:13). But the fact still remains that the seemingly minor sins we tolerate in our lives do indeed deserve the curse of God. 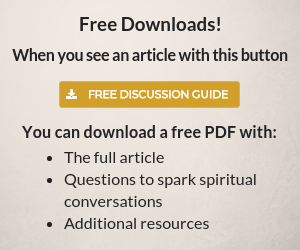 Click the book to read a free chapter from Respectable Sins. If this observation seems too harsh and too sweeping an indictment of believers, let me hasten to say that there are many godly, humble people who are happy exceptions. In fact, the paradox is that those whose lives most reflect the fruit of the Spirit are usually those who are most keenly aware of and groan inwardly over these so-called acceptable sins in their own lives. But there is also a vast multitude who are quite judgmental toward the grosser sins of society but who seem pridefully unaware of their own personal sins. And a lot of us live somewhere in between. But the point is, all of our sin, wherever we may be on the spectrum of personal awareness of it in our lives, is reprehensible in the sight of God and deserving of His judgment. Admittedly, I have painted a rather dark picture, both of society as a whole and of our conservative, evangelical community. But God has not forsaken us. For those who are true believers, God is still our heavenly Father, and He is at work among us to call us to repentance and renewal. Part of His calling is to lead us to the place where we do see the sins we tolerate in our own lives so that we will experience the repentance and renewal we need. It is my prayer that God will be pleased to use this book as one means to that end. And so for one more chapter, we will dig deeper into the sinfulness of our “respectable” sins. 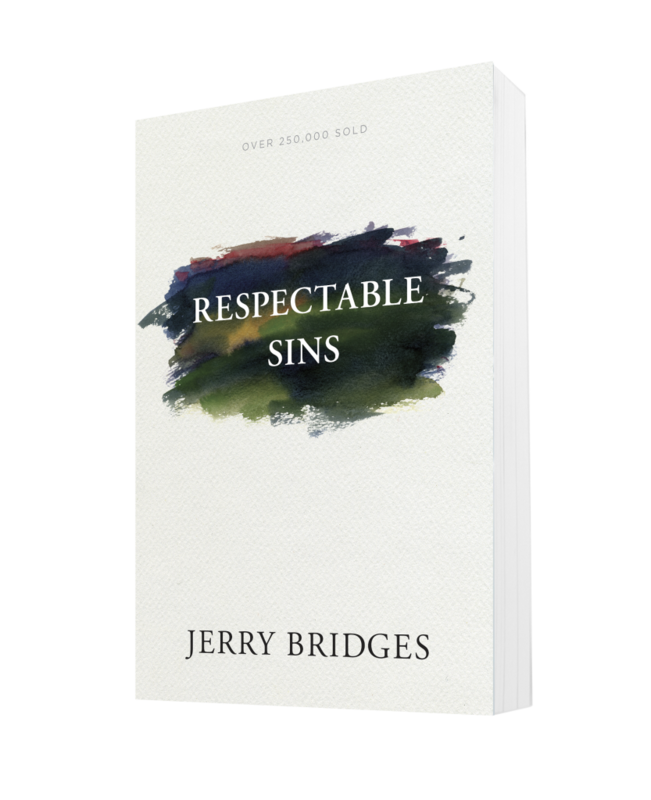 You’ve been reading from Respectable Sins by Jerry Bridges. To continue reading a free excerpt click here- Respectable Sins. 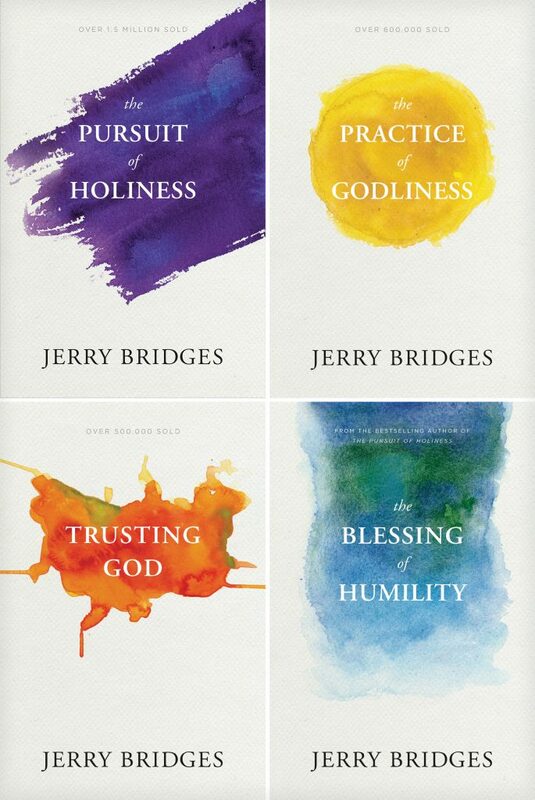 Jerry Bridges’ books are modern classics and have sold millions of copies. His top sellers have just been reprinted with updated design and include their corresponding study guides. 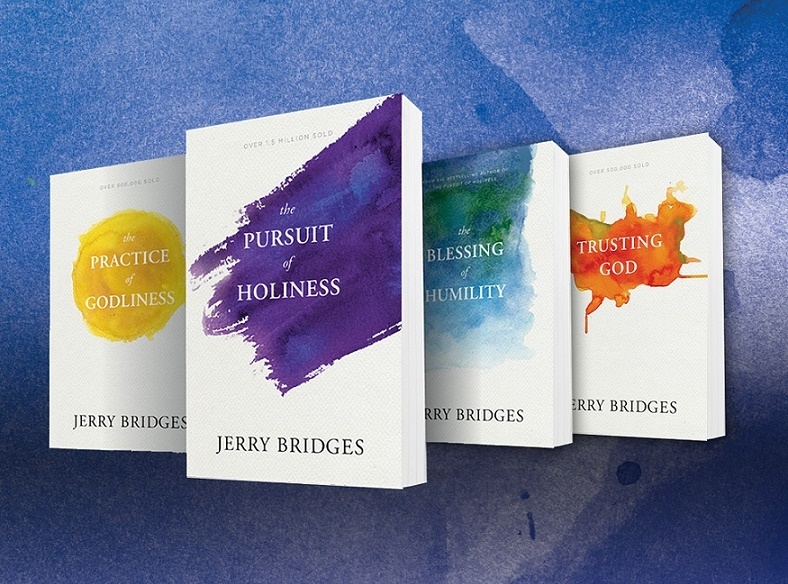 Look at all of Jerry Bridges books. Inspiration to our Salvation, found in Jesus Christ (our Gift of Grace from the King of Kings, our Lord).